Given my new-found crochet obsession, I was delighted when Pavilion Books* asked if I'd like to preview the latest book from well-known designer and entrepreneur Kerry Lord. This post is part of the book's blog tour - you can find the full schedule on yesterday's interview with Kerry here and the tour continues tomorrow at Monty Knits. Edward's Crochet Imaginarium is a visually appealing hard-cover pattern collection with beautiful photography and a charming flip-book layout. Given the subject matter, it became an instant hit with my children (aged 10 and 7) who immediately started 'designing' the monsters they'd like me to make for them. 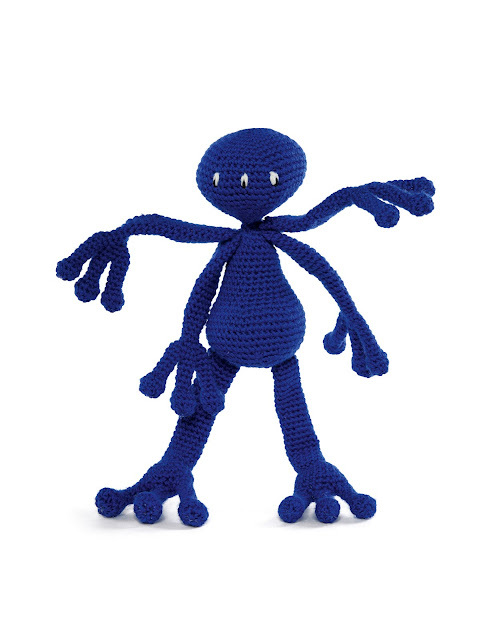 In fact, this is the unique selling point of the book - it's easy to mix-and-match seemingly endless combinations of head, arms and feet to create your own (really quite gorgeous) monsters. Based on a standard form for the body, there are twenty three each of heads, arms and feet to choose from. 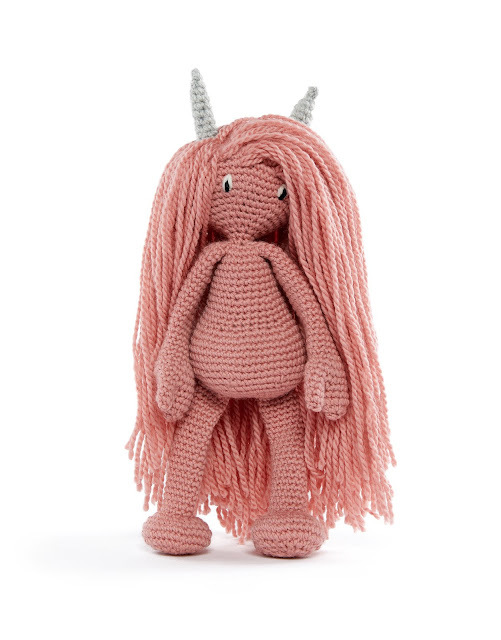 Add spots, stripes, one of the six different tails, some hair or your own embellishments to customise your monsters even further. 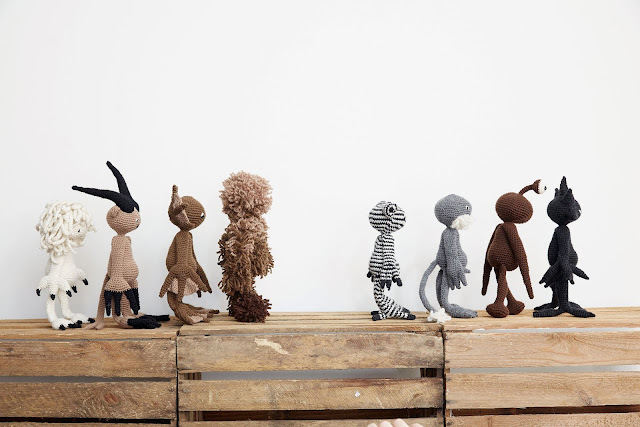 Change the size of the monster by using different yarn weights and hooks, and following the same instructions. Clearly written, the pattern elements are graded from level one to level three. 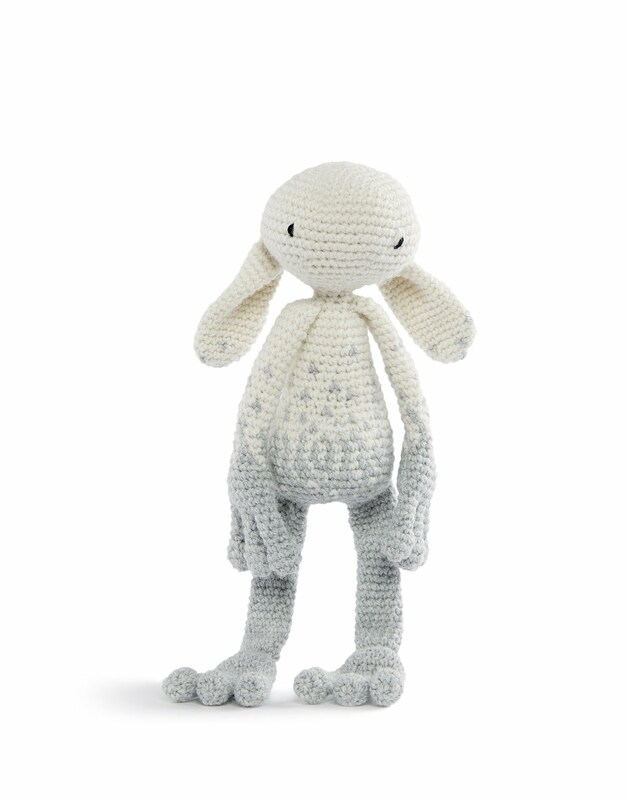 Level one are suitable for a total beginner and use only the double crochet stitch. Level two are a bit more advanced, but still very accessible to anyone with a basic knowledge of crochet and level three elements require further skills (all explained) such as slipped stitches, working on the RS and WS of the fabric and so on. If you're a crochet expert you can make things even more challenging for yourself with your own modifications. Full instructions for all the stitches and techniques used in the book are included, and there are online video tutorials to back it up too. Kerry has also included illustrations of how subtle changes (such as ear placement) can make a huge difference to the finished creature's character. If you're overwhelmed with options and not sure where to start, the book includes a gallery of 40 different heads/ arms/ feet combinations to inspire you and there's always Instagram (#edsflipbook) if you need even more inspiration. The only problem is, after looking through so many options, you might find you want to make them all. This is a book I can imagine returning to for many years to come. 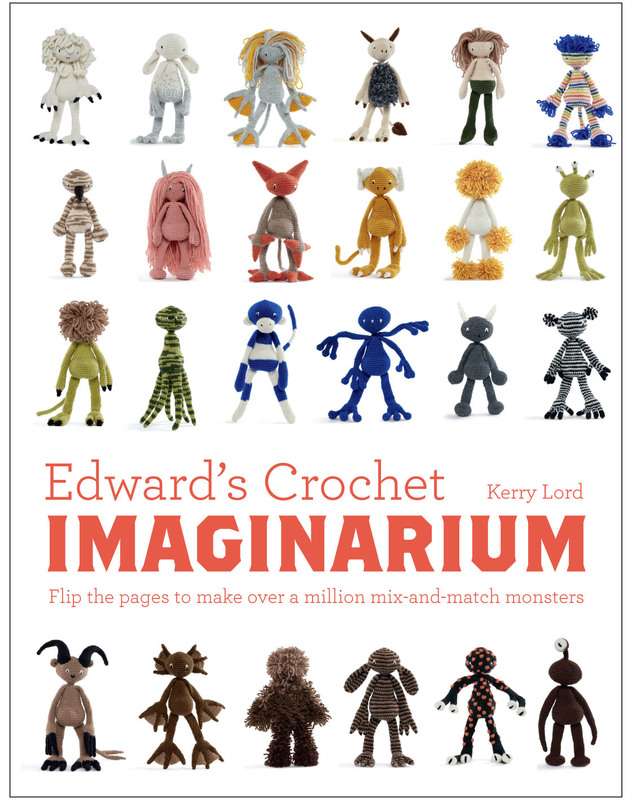 Edward's Crochet Imaginarium was published yesterday and is available from yarn shops including Wool Warehouse (RRP £14.99). At the time of writing it is also available from Amazon for £10.49 (UK) / $13.78 (USA). *A copy of the book was supplied by the publisher for review. All opinions are entirely my own and completely honest - I really love it! Affiliate links are included in this post.